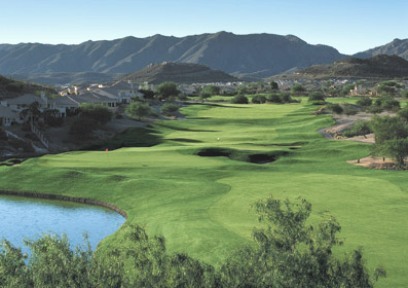 Vistal Golf Club At South Mountain is a Public, 18 hole golf course located in Phoenix, Arizona. 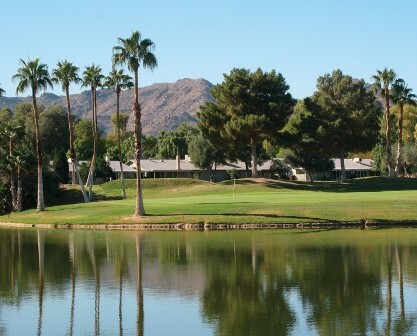 Previously know as Thunderbird Country Club at South Mountain, the course opened in 1957. The course was designed by Johnny Bulla. 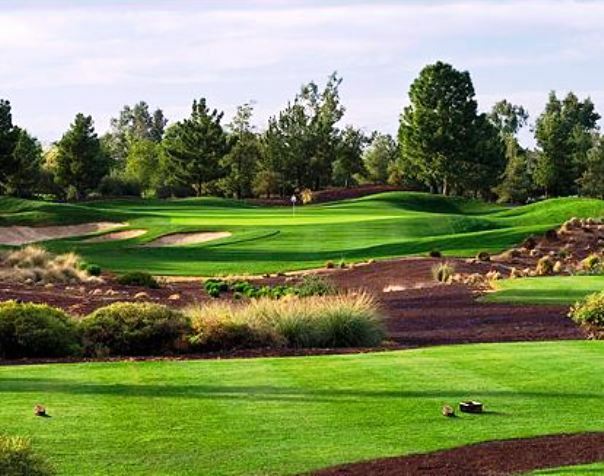 The design was done by PGA Tour Design Services Inc. with advice from Phoenix-area professionals Tom Lehman, Billy Mayfair and Howard Twitty. What they created is largely a links-style course with lots of lumps and knolls, many very narrow fairways and more than 80 sand traps. The landscaping is strictly desert-style, with bunch grasses, brittlebush, and sages. There are acres of ponds, rocky creeks, and picturesque waterfalls. Although this is a 7,013-yard experience from the championship tees, there are five sets of tees in all. The forward tees measure just 4,727 yards. It's easy for almost anyone to find a tee they're comfortable playing. The forward tees cut down distance, and also allow players to bypass some hazards. The four par 3s are one of the treats at Thunderbirds. Their length varies, and each offers a new view of scenery and landscape. They all try different tricks on unsuspecting golfers. Par 3 No. 3 is 167 yards from the back tees, 91 from the front. This hole has a peninsula green. The water wraps to across the front two-thirds of the green and all around the back. You'll want to approach from the left. The green slopes left to right toward the water. Par 3 No. 8 is 144 yards from the back tees, 73 from the front. You have to hit across a wide desert area to get to the green, and many balls fall short in the brush. Some days, the pin is placed right behind a sizeable tree, and of course, there's a huge front bunker to catch balls as well. Par 3 No. 13, is 218 yards from the championship tees, 133 yards from the front. You need lots of club to hit the green no matter where you stand because you're shooting uphill to an elevated green and over a desert wash. But hit straight; go too far left or right, and you can end up in a bunker or the desert. Par 3 No. 15, is 191 yards from the back tees and 97 from the forward tees. This hole points toward Camelback Mountain, many miles away. The very fast green on this hole seems way too small for a normal golfer to handle. The second toughest hole on the course, No. 6 (430 yards, 256 yards), is also the most scenic. 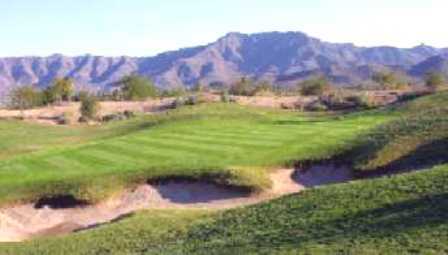 The elevated tee boxes on this par 4 are tucked into the natural rocky side of South Mountain. First shot from the tips forces the golfer to carry 200 yards of the desert. It's also a dogleg right, but if you go ever so slightly too far right, you'll end up in one of three fairway bunkers on that side. Hole #9 is one of three par 5s on this course. 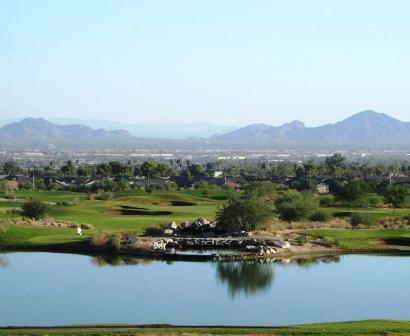 You can see all 18 holes and a view of Phoenix from the tee boxes on No. 9 (537 yards, 404 yards). This dogleg left also has one of the widest fairways on the entire course. You might think it's safe to hit that driver now as hard as you can. But don't forget that bunker that splits the fairway about 90 yards from the green. And what about that lake on the right-hand side? Blue tees: 7,013 yards, rating 72.5, slope 129. Gold tees: 6,625 yards, rating 71.1, slope 125. White tees: 6,119 yards, rating 68.7 slope 120. White tees (Women's rating): 6,119 yards, rating 68.7 slope 120. Red tees (Women's rating): 5,235 yards rating 70.4 slope 124.  Greg Leicht, the general manager at Vistal, said the course officially closed June 1, 2015. 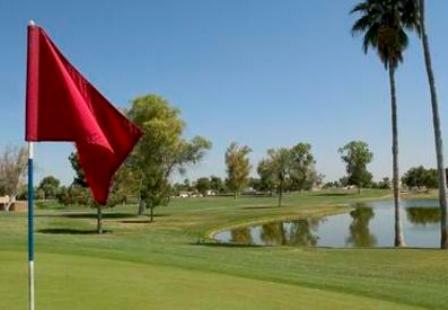 Scottsdale-based Grayhawk Development has owned the property for many years, operating it as an 18-hole championship golf course. Built abutting South Mountain Park, the 140-acre parcel was rezoned for up to 550 homes, according to a description on the developer’s Web site. I love this course and will be playing there again this month (October). 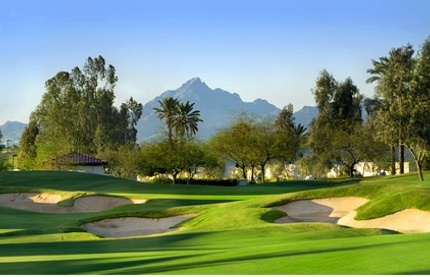 I am a Canadian with a home in Phoenix and consider Vistal to be my home course when in Phoenix. Played last summer and was hesitant to return this summer. Pleasantly surprised at the conditions on this course. The fairways were in very good shape and the greens rolled true. Came for the price, left with value. Very nice scenery, great staff. Fairways and greens were not overseeded for winter so were brownish and hard. Greens very fast. Abundance of sand traps were a bonus for me but much less so for my playing partner George! Will come play again. Good value. Play on a regular basis in the winter. Great course for the money. Great views as the course winds through the mountains. Good overall course with a great layout. Some differcult holes but a good test. Played this course 5 times in the last year. Love the layout. Wish they would water the fairways a little more. Great course and the price, ambiance, scenery, and freindly staff made it even better. Played on vacation to Arizona and found it nicer than some other higher priced courses. Does not have the big fancy clubhouse but the staff makes you feel welcome and do their best to make your day enjoyable. Course is challenging but very fair with several tees based on your ability. The beautiful views made you stop and admire them. Course well maintained and in great shape (it was August in Arizona). Definitely a replay.